In normal ways all the Industrial or Electrical machineries are controlled by the manual operation. Hence there is step by step progress but most of the time there is not actually instant co-operation between system and operator in case of emergency or fault type situation .Therefore we are designing a system where there exits communication between system and operator. For this we are using Transformer, microcontroller, analog to digital converter. As we know Distribution transformer is a major component of power system and its correct functioning is vital to system operations. To reduce the risk of unexpected failure and the ensuing unscheduled outage, on-line monitoring has become the common practice to assess continuously the condition of the transformer with. 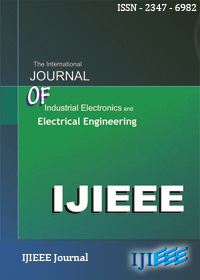 This paper presents design and implementation of a system to monitor and record key operation of a distribution transformer like overvoltage, over current, temperatures, rise or fall of oil level which based on Wireless protocol. Sensors, including a Temperature Detector and a Liquid level sensor performs according to manufacturers’ specifications are calibrated and tested by power distribution monitoring offices. The system is installed at the distribution transformer site and by measuring above parameters it will help the utilities to optimally utilize transformers and identify problems before any catastrophic failure. 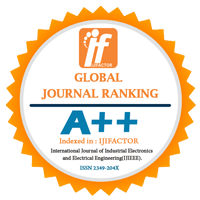 Index Terms— Distribution transformer, Wireless protocol.